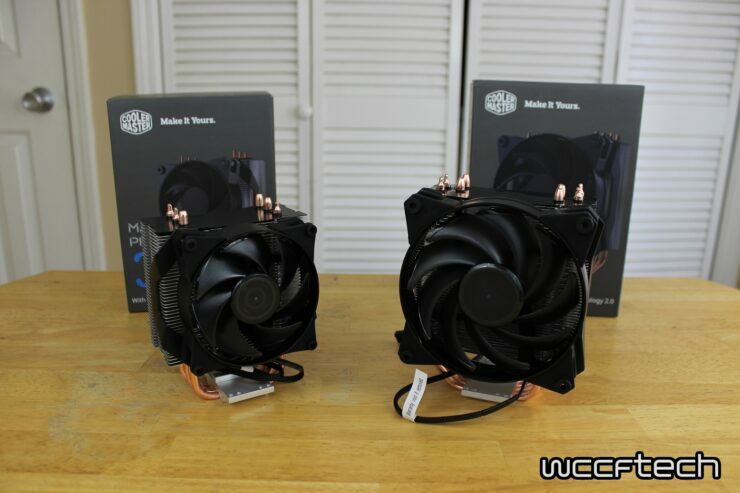 If you’re thinking of the Cooler Master MasterAir Pro 3 and 4 as a replacement for the Hyper TX3 EVO and the Hyper 212 EVO, you’d be wrong. Instead what these two products are is more of an evolution of that line. Bringing the naming scheme in line with their Maker branding and allowing for some interesting upgrades over the previous lines that I think people are going to like rather well. 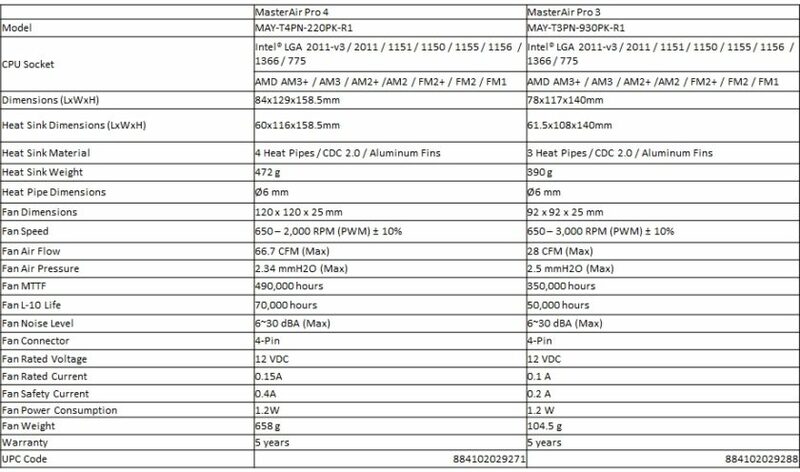 The new MasterAir Pro 3 and 4 are both targeting different customers so it’s important to make sure you’re looking at what will be best for your personal setup. 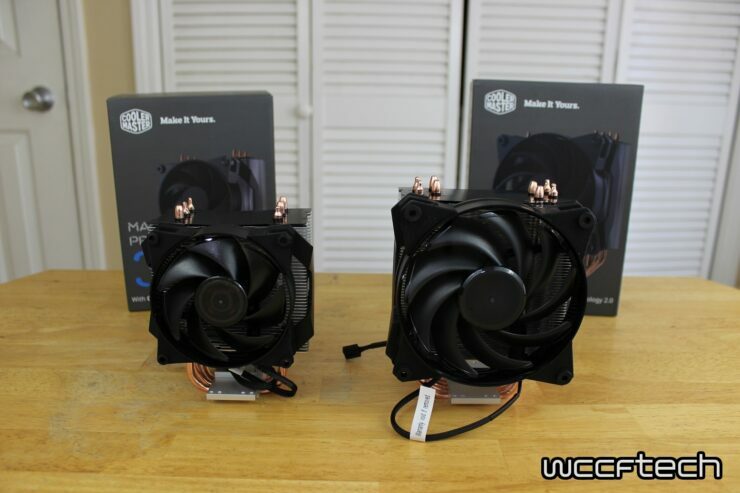 The MasterAir Pro 4 comes with a larger 120mm MasterFan Pro Air Balance fan allowing for more cooling potential while the MasterAir Pro 3 comes in a smaller 92mm Pro MasterFan Air Pressure fan resulting in a smaller overall footprint for those smaller builds. 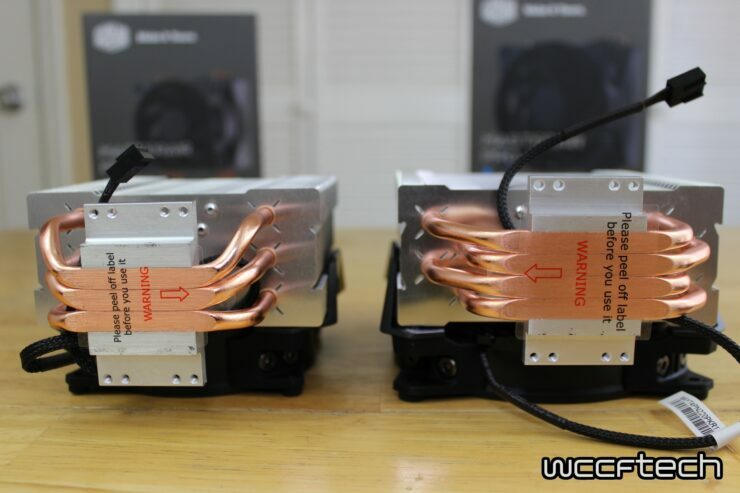 On the topic of fans, the new mounting brackets are much easier to work with, especially for when removing the fans compared to the previous 212 EVO design. 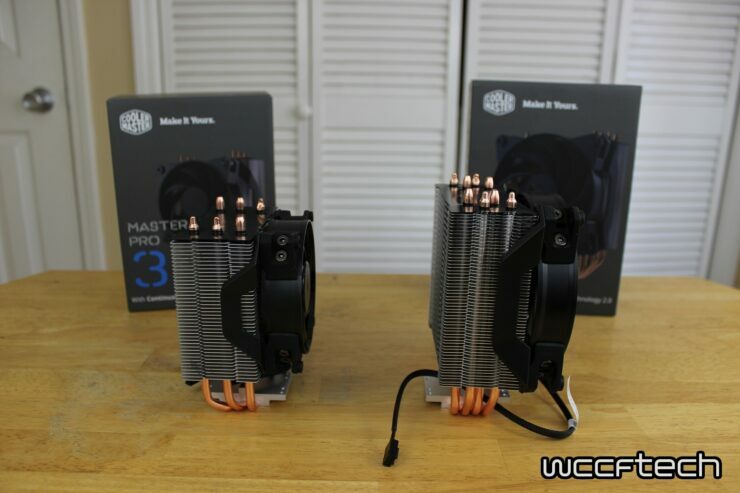 Fans aren’t all that’s changed, CoolerMaster has completely redesigned the heatsink fin design and structure. A new, louvered edge fin array helps make for more surface area while also adding a very interesting design style over the old plain edge of the 212 EVO. 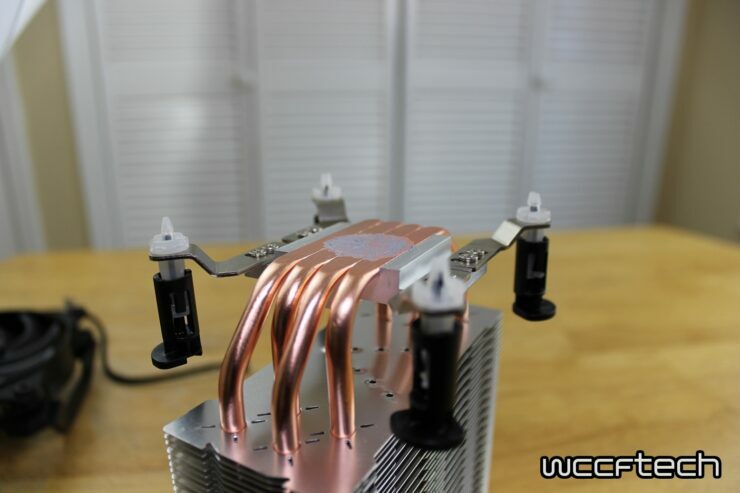 The implementation of the X-vents around the heatpipes allows for a bit of air to be forced right around the heatpipes. 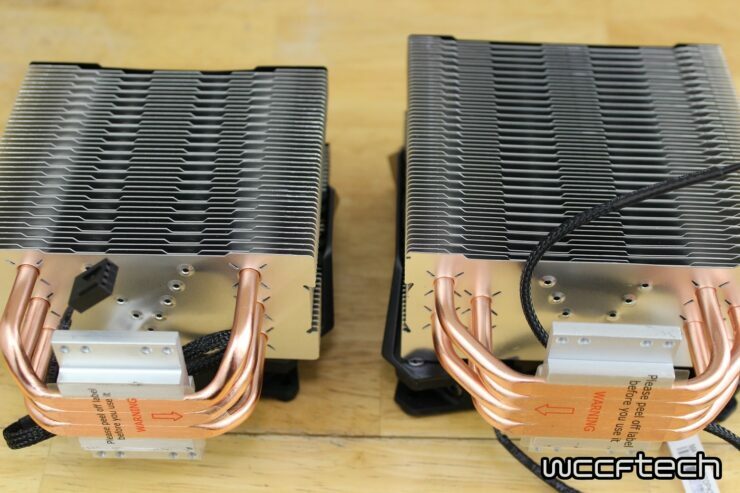 The other big change to the fin design comes in the form of the V-pattern indentions that help force additional air to the hottest part of the heatsink to help lower temperatures some more. It’s not all work and no play for the new fin design. The most noticeable feature, that many builders, should love is the new black top. Gone is the shiny metal finish that could pretty much kill the look of any build and in is the new satin black with the copper heatpipes poking through look. Mounting has been improved, well rather they’ve implemented a new option for those first-time builders. You still have the tried and true X-Bracket for use with AMD and all Intel setups, but now you’ve got a new option for mainstream Intel. 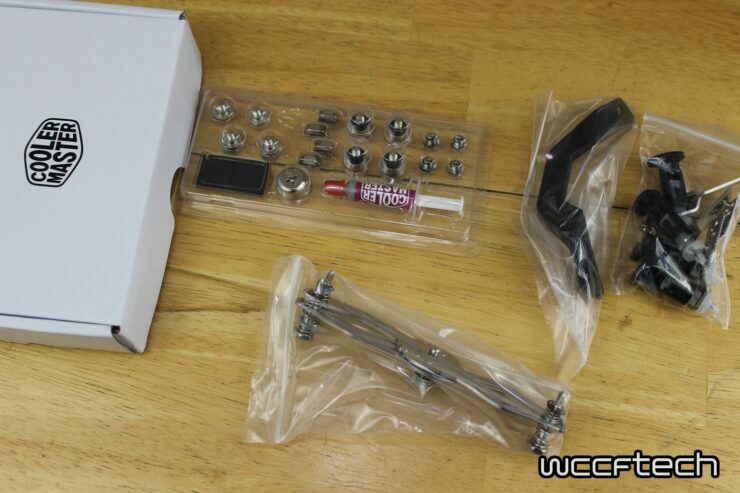 They’ve included optional push-pin style clips for both the MasterAir Pro 3 and 4. Enthusiasts may scoff at this idea but for those building their first computer this could simply be a life saver as the X-Bracket isn’t exactly the most user-friendly retention mechanism. How about performance? With the MasterAir Pro 3 and 4 coming in at $39.99 and $44.99 do the upgrades warrant it being selected over the older reliable Hyper 212 EVO? Well, we used the clip mounting method and loaded all three up on our i5 6600k at 4.4 GHz (1.32v) with 16GB Team DDR3 2400MHz on a Gigabyte z170mx Gaming 5 to see. 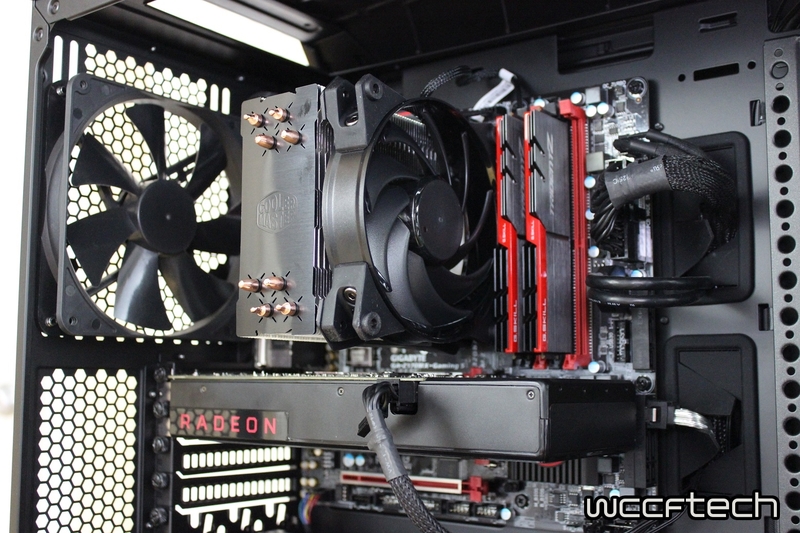 Using Cooler Master MasterGel Maker Nano on all tests with an ambient of 22c and running AIDA64 CPU/FPU/Cache Stress Test we found the MasterAir 4 coming in cooler and quieter than the 212 EVO but the MasterAir Pro 3 coming in a bit warmer and louder. Something to note however is, while I don’t have it available any longer, when I had the Hyper TX3 EVO 4 GHz was running over 60c and quite noisy, the MasterAir Pro 3 outclasses that cooler by a long shot while staying roughly in its footprint. To wrap things up I feel that Cooler Master has made enough changes and offered enough here to justify the new line. 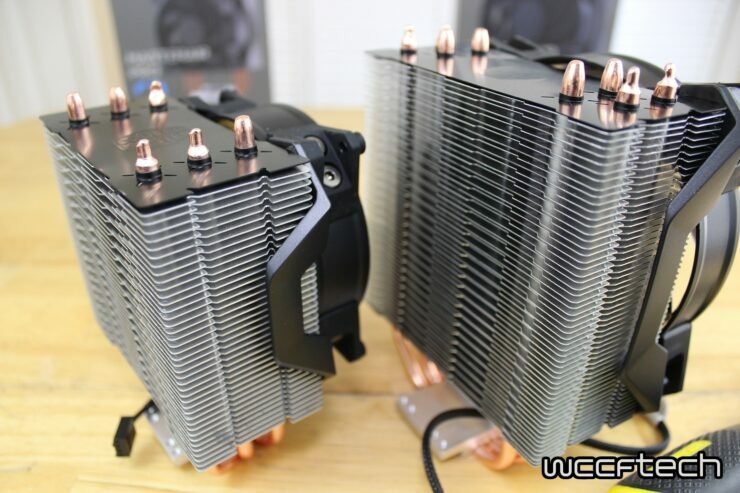 They’ve informed me that they will not be retiring the Hyper 212 EVO and offering this as its spiritual success. But rather that they coexist and offer something different. The Hyper 212 EVO will remain that price/performance champion, but the MasterAir Pro 3 and 4 will offer that more overall premium fit and finish. Both are available today at Newegg, Amazon, and Microcenter.